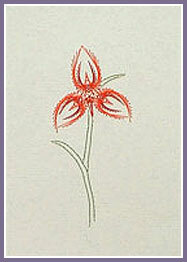 The Red Disa Lily is the South African Cape Province’s regional flower. The Dark Red layer is stitched first then the Flame layer is stitched over it. 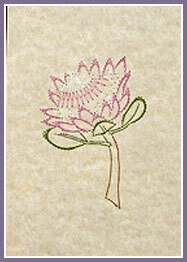 The South African King Protea isa magnificent bloom - we hope this design does it justice! Stitched in Mother-of-Pearl and Silky Threads.